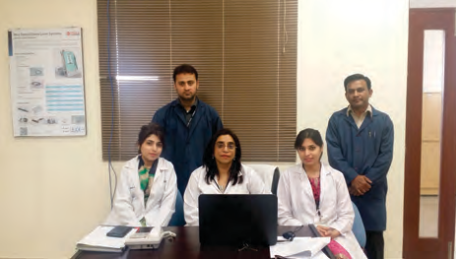 The Department of Periodontology is an integral part of Bahria University Medical and Dental College. We are committed to optimizing the general health of our patients and the community through providing superior periodontal care. We aim to do so through our state-of-the-art programs in teaching, patient care and research. These efforts of the department are directed by a well-qualified and innovative faculty and supported by a dedicated staff. Periodontology is intended to provide a sound and intensive knowledge of the basic principles of the etiology, progression and pathology of periodontal tissues as well as the diagnosis and management of advanced periodontal diseases. Initial therapy, nonsurgical management, and simple surgical procedures also form part of this one year subject taught in Third Year BDS. The department is dedicated to the overall training of third year dental students and the teaching of periodontics through demonstrations and hands-on training.Our Advanced Education Programming Periodontology offers the students a well versed clinical and didactic experience that prepares them for the study and practice of periodontics in an academic or clinical setting. We provide therapy at various levels to a large group of patients. Our dental students learn to diagnose periodontal diseases and treat basic periodontal conditions. 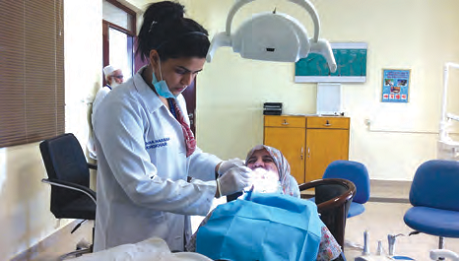 The subject of Oral Medicine & Diagnosis is taught in Third Professional year of BDS which includes lectures, tutorials and clinical rotations in clinics of Oral Medicine at Bahria University Dental Hospital. 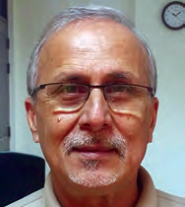 The subject is concerned mainly with diagnosis and treatment planning pertaining to the field of dentistry. A thorough medical and dental history, comprehensive extra and intraoral examination, requesting and interpretation of relevant investigations, followed by accurate diagnosis and developing a logical treatment plan based on the patient’s needs are the main tasks. The goal is to obtain vital information on patient’s medical and oral status, differentiation between normal and pathological or potentially pathological conditions to promote accurate diagnosis and their early management. Additionally, the subject also focuses on diagnosis and medical/non-surgical management of various disorders involving oral and perioral structures including soft tissue diseases, Orofacial pain disorders, Temporomandibular joint dysfunction, salivary gland diseases and oral manifestations of systemic disease.